Last year turned out to be one of the three warmest ever. The average global temperature was 1.1 degrees Celsius (2 degrees Fahrenheit) above the baseline level before the Industrial Revolution, the World Meteorological Organization said Thursday in a statement. The record-high was in 2016, with 2017 and 2015 equal second. The globe is on track to heat up by more than 2 degrees Celsius, a gain that scientists say is an irreversible tipping point that will unleash catastrophic floods, droughts and storms. The world’s nations are united in pledging to curb fossil-fuel pollution to slow global warming even after U.S. President Donald Trump pulled the second-largest emitter of carbon dioxide out the historic 2015 Paris pact. 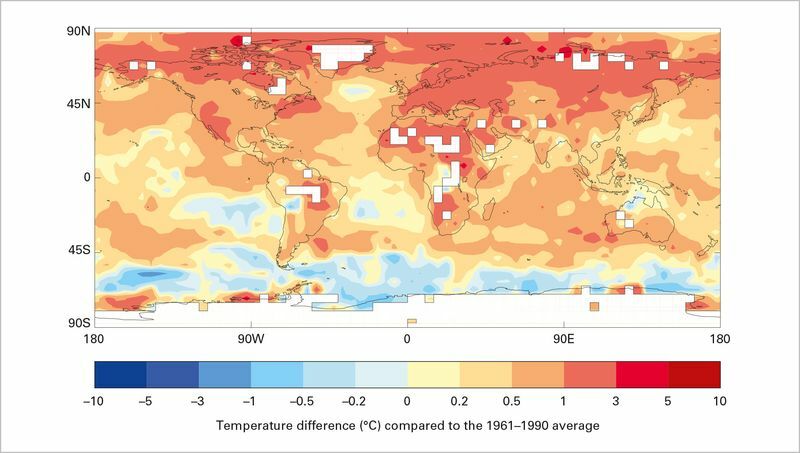 “Global temperatures will continue to bob up and down from year to year, but the climate tide beneath them is rising fast,” Dave Reay, chair in carbon management at the University of Edinburgh said. The WMO will publish in March its Statement on the State of the Climate in 2017.